Your favorite shake is still a delicious, well-balanced meal in a bottle with a new look and some great upgrades. It’s still a complete protein, but we’re moving from an organic rice and pea protein blend to all organic pea protein. We added organic coconut oil to provide medium chain triglycerides (MCT) for quick energy. Organic flax seed oil is also added to provide a source of Omega 3, an essential fatty acid. 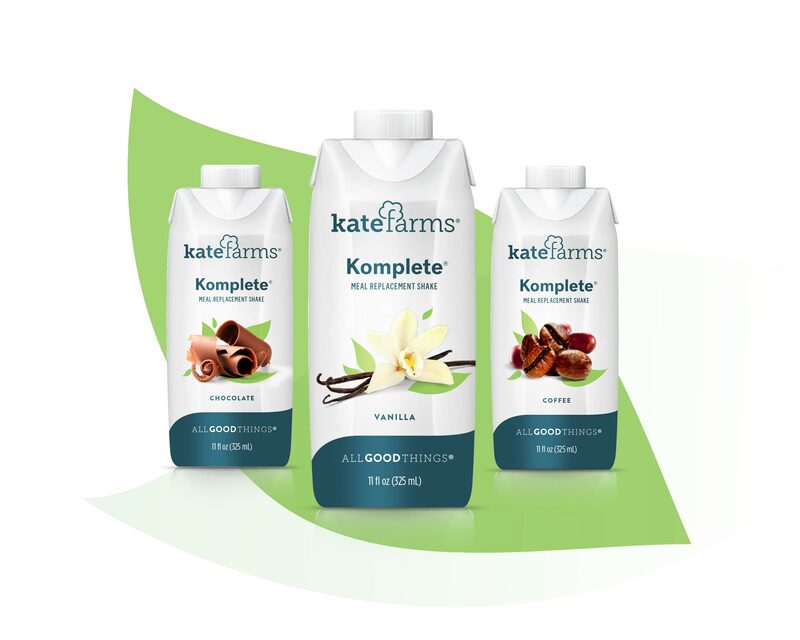 With science-backed ingredients like soluble fiber that acts as a prebiotic and phytonutrients with antioxidant properties, Komplete has efficacious bells and whistles. We adjusted the amounts of key electrolytes, sodium and potassium, for active people and removed ingredients we didn’t need, like carrageenan. The new and improved Komplete will be released with fresh, upgraded packaging! Your favorite shakes, with a clean, new look that is All Good Things. With no chemicals, additives, or non-nutritive sweeteners, each bottle is filled with everything you need, and nothing you don’t. Try the new Komplete Formula today!